Sky has rebranded its PC VOD as Sky Player, as well as making several enhancements to the service. The VOD service has already had more names than the average undercover detective, and after Sky Broadband and, latterly, Sky Anytime fell by the wayside, the satellite broadcaster has opted for a name that sounds a bit like BBC’s iPlayer in order to 'take on the Sky Player brand in recognition of the public’s growing awareness of additional online video ‘player’ services' and 'help newcomers to the service understand its core functionality'. At least they are open about their reasons. 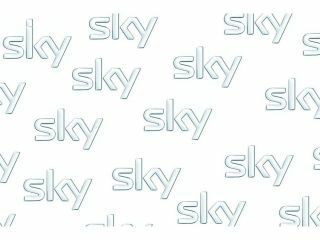 Sky also announced that the Sky Player will allow progressive downloading and the incorporation of live streaming channels including Sky News and Sky Sports. “The changes we are making to the service today will give Sky customers an even richer online experience. Our leadership in the breadth and depth of content is being supported by improvements to the service’s functionality, such as live channels and instant play and watch,” Griff Parry, Director of On-demand, BSkyB, said in a press release. “As a core component of Sky’s multi-platform strategy, Sky Player’s role is one of offering Sky customers more value from their relationship with Sky. It may be a shameless cash-in in terms of the name, but Sky’s anytime service has had plenty of time to mature and grow over the years and they are rightly proud of an extensive movie catalogue. Sky’s service also provides live streaming sports channels free for those who subscribe to the extra-box multiroom service and personalised home pages.